While The Annie E. Casey Foundation report focuses on solutions at the policy level, I want to underscore activities and actions schools and teachers are undertaking to provide more immediate support to families. We must continue to ask ourselves: what role can teachers, librarians, and literacy groups play in supporting vulnerable and at-risk families beyond the classroom? As the sheen of the first day of school wears off and school vacations get closer, you may be looking for ways you can engage or re-engage parents and guardians. Here is a preliminary list of ideas that teachers and literacy advocates are implementing to support parent and guardian care of children. Teacher home visits—These present parents/guardians and teachers as co-educators in the eyes of the child and bridges school with the home. Check out the St. Louis-based nonprofit, Home Works!, for examples of how they are feeling and measuring the impact. Hassle-free field trips—Even if your school has little to no budget for class field trips, many teachers arrange meet-ups on the weekends or during holiday vacations at a local museum, library, show, or city event. Students with their families come on their own (so you are not responsible for admission fees or transportation costs!) and you get a chance to build relationships with the families in a fun, relaxed setting. The impact is powerful and will not affect your class budget. Parent-volunteers in the classroom—It may feel like extra work at times to coordinate how a parent can help you in the classroom, but the outcomes are meaningful and enduring. Think about having the parent co-read a holiday read aloud with you and lead the follow-up activity. For more frequent engagement, parents or guardians can practice word work, sight words, or math facts with struggling readers. They can also lead extension activities with computer research to delve deeper into the history, culture, or themes of a read aloud. Shout outs for literacy in action—Highlight families who take their children to the local library, or how many books the family is reading together, or how much time they are reading each night. Post pictures they took of their home libraries or favorite reading spots in their homes. 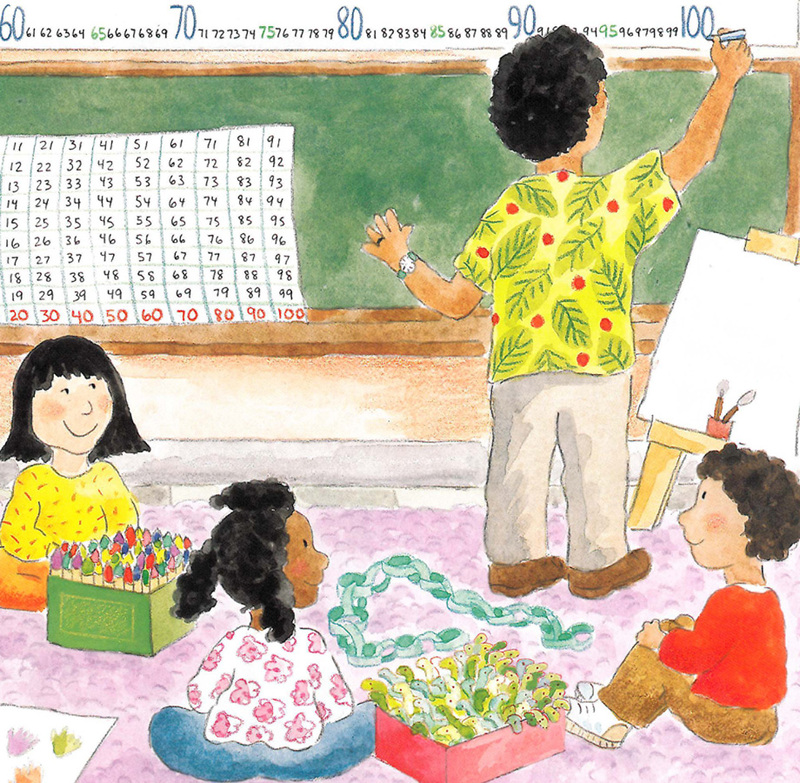 You can recognize families on a classroom bulletin or in a monthly/quarterly newsletter. Parents and guardians will love seeing their actions celebrated as much as their children. Students will delight in seeing their families showcased and others will insist that their families step up their game. Celebrations beyond class walls—Write a quick note (as small as a business card) celebrating a specific skill the child has improved on or mastered in school. The child can share that note with a family member, sport coach, counselor, religious guide, or an adult mentor. This small exchange shows children that people who care about them value what they are doing in school and strengthens the school-home connection. Invitations for reading buddies—Encourage students to invite adult mentors or family members for a special reading day at school. Students may pick a book of interest at their independent reading level and read to their special guest in class. Space for parent leadership—Parents and guardians always have the power to advocate for their children, but sometimes need the space and habits to do so. Offer extra time and your room after conferences, back to school night, student presentations or performances, open house, or a night of celebrating student work. Parents and guardians can gather around common parenting concerns, challenges, and solutions, such as reading at home or bullying. You do not need to lead or facilitate the discussion. Instead, encourage parents and guardians to share their own experiences and support each other. In doing so, parents and guardians identify their own strengths and voice in raising and advocating for their children. Parents-as-teacher activities—Provide families manageable, measurable, and accountable tasks they can do with their children to build literacy skills. Flash cards are great for math facts and sight words. Instruct students on how to teach their family members how to measure and record fluency when they read. Supply families with a list of general questions (translated if needed) they can ask their children before, during, and after reading a book. These questions can give children more practice on predictions and connections. Model how to talk and read with a child so families know they should point and track as they read or practice sounding out words in front of the child. Descriptions about benchmarks and assessments—Just because school vacations are coming up, there is no reason not to make every minute count. Explain to parents and guardians what internal benchmarks and state assessments their children will be taking, what those tests measure, and why they are important. Translate any documents or information to non-English speaking families. Book bag express—There is just not enough time in the school day for independent reading! Give students book bags (reusable grocery bags or even Ziploc freezer bags, for example) to carry their books to and from school. Students should have several books with them to read, record, reflect on, and share nightly. Is your library not big enough? No worries! Allow students to bring books from home to donate or exchange with classmates or limit the number they can take out at a time to two or three. Apply at DonorsChoose.org to fund your library collection. What are we missing? I encourage you to share your thoughts, experiences, and strategies that have worked in your school and community! Post a comment below.